An invitation from the Oviedo Woman's Club (OWC) to Mrs. John W. Mace (Mary Mace) to celebrate the 75th anniversary of the club. Mace was the President of the Florida Federation of Women's Clubs (FFWC). Mace was based in Cocoa Beach, Florida. Original invitation from the Oviedo Woman's Club to Mrs. John W. Mace, February 23, 1981: Private Collection of Beatrice Gestrich. 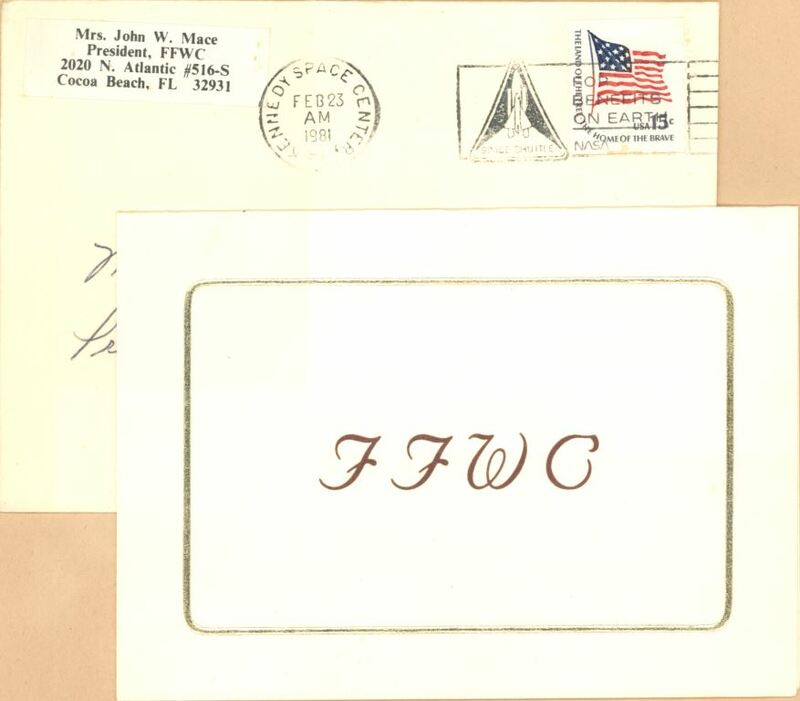 Digital reproduction of original invitation from the Oviedo Woman's Club to Mrs. John W. Mace, February 23, 1981. Originally created by the Oviedo Woman's Club. Copyright to this resource is held by the Oviedo Woman's Club and is provided here by RICHES of Central Florida for educational purposes only. Oviedo Woman's Club. 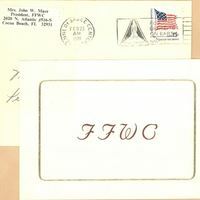 “Invitation from the Oviedo Woman's Club to Mrs. John W. Mace (February 23, 1981).” RICHES of Central Florida accessed April 21, 2019, https://richesmi.cah.ucf.edu/omeka/items/show/5779.